One of our heroes died yesterday. 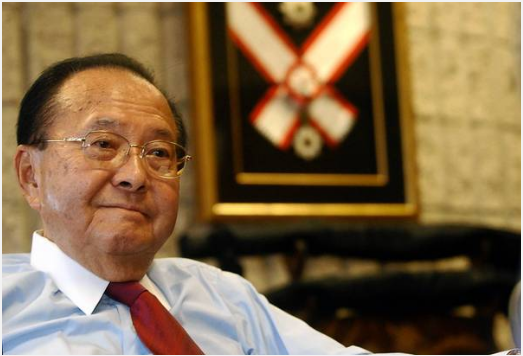 Senator Daniel Inouye of Hawaii passed away from respiratory complications at age 88. Senator Inouye was the 2nd longest serving Senator in US history, and the first Senator of Japanese heritage. He fought in Italy in WWII and received his nation's highest award, the Medal of Honor. He was greatly respected by his colleagues and his nation: his body lay in state under the US Capitol Rotunda, only the 31st person so honored in American history. He was our hero for serving in the military in World War II despite his country's attitude toward him. When war was declared in the US after the Japanese attack on Pearl Harbor, Inouye wanted to enlist but was refused. Since he was of Japanese ancestry he was classified as an 'enemy alien' even though he was a US citizen. His parentage was used as cause to deny his rights as a citizen. When the policy was changed, just slightly, in 1943 he was able to join the military. He joined the 442nd RegimentalCombat Team, whose motto was "Go for Broke!". It was composed entirely of Japanese-Americans, many of whose families were interned in camps in the American west. This unit, for its size, is the most decorated unit in the history of the US Army. This unit was instrumental in liberating Versilia and Lunigiana. They were assigned the difficult task of fighting in the Apuan foothills in the area of Massa and Carrara, before the cannon batteries at Punta Bianca in Ameglia were destroyed. (Read more Here ). 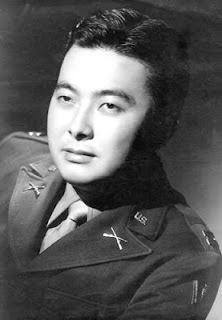 Soon after, at San Terenzo Monti in the hills inland from Sarzana, Inouye lost his arm in the battle that would later win him the US Medal of Honor. While he was leading a charge on German machine gun position, he was shot in the abdomen, but managed to throw two grenades before his right arm was shattered by a German grenade. "Despite the intense pain, he refused evacuation and continued to direct his platoon until enemy resistance was broken and his men were again deployed in defensive positions," his citation for the medal read. "In the attack, 25 enemy soldiers were killed and eight others captured." His arm was amputated. Senator Daniel Inouye and his Medal of Honor. Heroism didn't change things at home. On his way back from the war, he often recounted, he entered a San Francisco barbershop only to be told, "We don't cut Jap hair." The Senator received the Medal of Honor belatedly in 2000, after the junior senator from Hawaii at the time, Daniel Akaka, convinced Pentagon officials to review records to determine if some had been denied the honour because of racial bias. Inouye was one of 22 Asian-American World War II veterans who belatedly received the medal, many from the 442nd regiment. "The lesson is one that should be repeated time and again, that we do have an extraordinary Constitution. We do have extraordinary sets of laws, but I have found that, in the history of mankind, whenever there's a crisis like that of a war, some of the leaders set them aside and forget it. For example, I think the law was rather clear about placing 120,000 Japanese in what we call concentration camps and we had committed no crime. All properties were lost. Our freedom was lost. "But there is greatness in this because, after the war, the United States of America was strong enough to admit wrong. When confronted, they said, yes. We did something wrong. We apologize and we want to make redress. Very few countries would do this. They try their best to deny, but not the United States and for that, I'm very proud of my country." Inouye ended that interview the way he ended many conversations — by saying "Aloha." Rest in Peace, Daniel Inouye, you deserve it. Liberation Day and the Liberation of America Read our most popular story about a little known aspect of WWII in Versilia, Garfagnana, and Lunigiana. BBC News and Los Angeles Times Articles on Senator Inouye's life. Go For Broke History of the 442nd.